Who we are Our website address is: http://dev.ravencresttactical.com. What personal data we collect and why we collect it When becoming a site user or visitor information like your name, email address, personal account preferences; transactional data, such as purchase information; and technical data, such as information about cookies will be collected to fulfill your purchases from our site. Information we collect must be given by the site user or visitor we do not collect this information unless the user first gives it. Contact forms When you fill out a contact form on our site we keep contact form submissions for 90 days for customer service purposes, then they are removed from the system. We do not use the information submitted through them for marketing purposes. Cookies If you leave a comment on our site you may opt-in to saving your name, email address and website in cookies. These are for your convenience so that you do not have to fill in your details again when you leave another comment. These cookies will last for one year. By default our site does not share any personal data with anyone. How long we retain your data We keep contact form entries for six months, analytics records for a 26 months, and customer purchase records for ten years. Our contact information Telephone: 480-664-6137 Email: ravencresttactical@gmail.com Business Address: 2754 E. McKellips Road, Suite 101 Mesa, AZ 85213 Contact for privacy-specific concerns. How we protect your data We use SSL technology on our site to make sure that user payment data stays encrypted and safe. Our site is scanned daily with SiteLock to make sure there are no vulnerabilities. By using the RavenCrest Tactical® Web site and before placing an order with our company, YOU ACKNOWLEDGE THAT YOU HAVE READ THIS AGREEMENT AND THAT YOU ACCEPT THE TERMS THEREOF. Please read the following terms carefully. 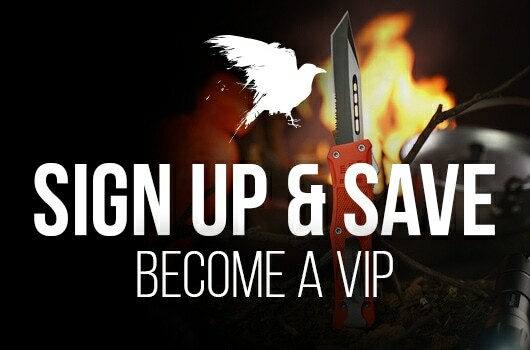 If you do not agree to the terms and conditions of this Agreement, you may not access, view, obtain goods or services from, or otherwise use the RavenCrest Tactical® Web site. 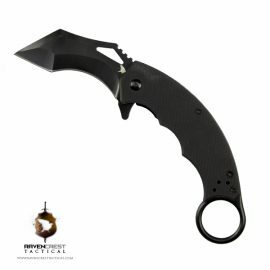 You must be 18 years of age or older to order from RavenCrest Tactical, LLC®. Some locations may have more restrictive laws. You are responsible for knowing and following those laws. By placing an order with RavenCrest Tactical, LLC® you are agreeing that you accept legal responsibility for owning the item you have ordered in the jurisdiction to which we deliver it. Your rights and obligations under this Agreement and in using this Site are not assignable. Your use and access of the RavenCrest Tactical® Web site constitutes your acceptance, without modification, of the terms, conditions and notices contained herein. In addition, when using particular RavenCrest Tactical, LLC® products or services, you shall be subject to any posted guidelines, rules, and policies applicable to such services that may be posted from time to time. All such guidelines, rules, and policies are hereby incorporated by reference into this Agreement. Release, Assumption of Risk, and Waiver of Liability and Indemnity Agreement RavenCrest Tactical, LLC® does not warrant that a person or company may legally sell, purchase, possess, or carry any and all items offered according to federal, state, or local laws. 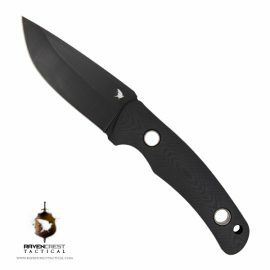 These items include, but are not limited to pocket knives, switchblades, knuckle knives, items having concealed blades, and double edged blades. We feel it is extremely important to comply with guidelines established by state laws. By purchasing any item from Raven Crest Tactical® the buyer warrants that he is in compliance with all federal, state and local laws and is legally able to purchase these items. RavenCrest Tactical, LLC® maintains this site (the "Site") for your personal entertainment, information, education, and communication. Please feel free to browse the Site. You may download material displayed on the Site for noncommercial, personal use only, provided you also retain all copyright and other proprietary notices contained on the materials. You may not, however, distribute, modify, transmit, reuse, report, or use the contents of the Site for public or commercial purposes, including the text, images, audio, and video without RavenCrest Tactical, LLC® written permission. The various company logos are registered trademarks or registered trademarks of their respective companies. All prices and configurations are subject to change without notice or obligation. Prices do not include shipping and handling and applicable sales tax. Shipping and handling charges may vary. All prices in U.S. dollars. Some products and services many not be available for all international locations. Your access and use of the Site is also subject to the following terms and conditions ("Terms and Conditions") and all applicable laws. By accessing and browsing the Site, you accept, without limitation or qualification, the Terms and Conditions and acknowledge that any other agreement. A possibility exists that the site could include inaccuracies or errors in the information conveyed, either in text or image content. Although we attempt to ensure the integrity of the Site, we provide no absolute guarantees as to its completeness, correctness, or accuracy. In the event that such an inaccuracy arises, please inform us immediately so that it may be corrected. You should assume that everything you see or read on the Site is copyrighted unless otherwise noted and may not be used except as provided in these Terms and Conditions or in the text on the Site without the prior written permission of RavenCrest Tactical, LLC®. RavenCrest Tactical® neither warrants nor represents that your use of materials displayed on the Site will not infringe rights of third parties not owned by or affiliated with RavenCrest Tactical, LLC®. While RavenCrest Tactical, LLC® uses reasonable efforts to include accurate and up-to-date information on the Site, RavenCrest Tactical, LLC® makes no warranties or representations as to its accuracy. RavenCrest Tactical, LLC® assumes no liability or responsibility for any errors or omissions in the content on the Site. RavenCrest Tactical, LLC® may also, in its sole discretion and at anytime, discontinue the RavenCrest Tactical web site, or any part there of, with or without notice. You agree that you do not have any rights in our web site and that Raven Crest Tactical will have no liability to you if this web site is discontinued or your ability to access our web site is terminated. RavenCrest Tactical, LLC® may at any time revise these Terms and Conditions by updating this posting. You are bound by any such revisions and should therefore periodically visit this page to review the current Terms and Conditions to which you are bound.